Rated 3 out of 5 by cowclaudia from Meh I'm not sure what the purpose of this game is other than solitaire. The music and scenes are very soothing which makes a nice break from the usual doom, gloom, hideous creatures and ugly faces these days but other than that don't see what the end result is supposed to be. Not going to recommend or not recommend since every taste is different but if still available play the demo first before purchasing. 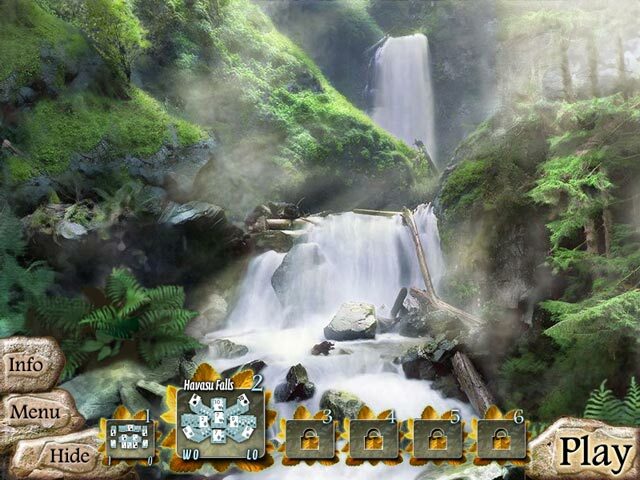 Rated 3 out of 5 by jules85 from Nice for beginners or relaxing After trying it 30 minutes I would say it´s a nice one for people who likes relaxing sound and pictures and nice for beginners in solitair games. Player with expert skills will get bored after a while cause the mechanism isn´t changing. 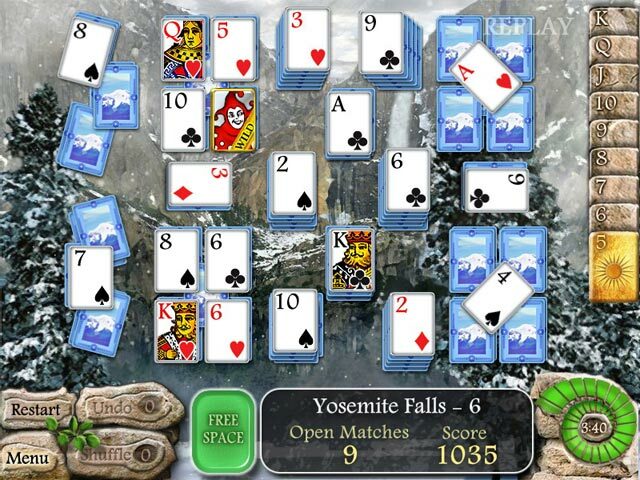 Rated 3 out of 5 by tollermama from boring not solitaire game. This is a card match game, like mahjong as folks have already described. The scenery was very nice, the music was lovely. I found the game to be repetitive and boring. (Perhaps it's the genre, not this particular game?) 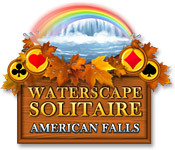 The one issue I had, is when the level is finished, instead of just staying in that frame, the frame changes to a different backdrop with a very irritating Waterscapes Solitaire logo and the word "loading". Then it goes back to the next round on the playing backdrop. I would much rather see the word loading on the same background that we play on than go to a different background altogether. Rated 3 out of 5 by moonladydi from Monotonous Mahjong This is not Solitaire, it's a Mahjong game with playing cards. The music is Oriental and repetitious.Thankfully you can Mute it. 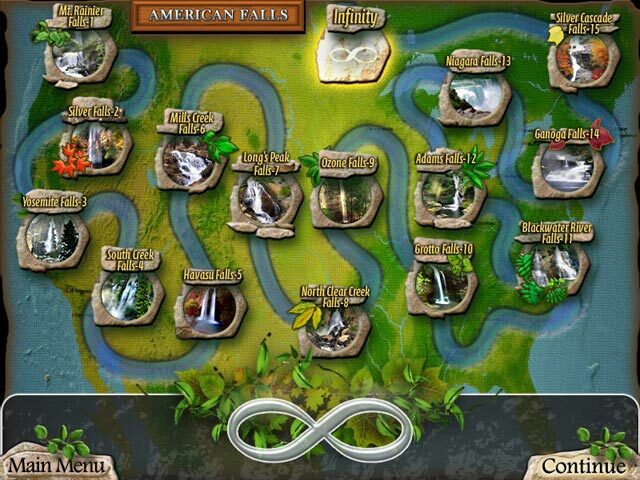 There are 15 Waterfall locations, and you play 5 mahjong boards each plus a Bonus game to advance to the next location. The Bonus is pairing the cards in numerical order Ace thru King. They flash Mottos like a fortune cookie after each board completed, but don't give you time to read them. If all you want is an easy, relaxing game, this may suit you. I'll give it a pass. Rated 3 out of 5 by savedays from Great Audio and Visual, but... Loved the free trial, so I purchsed this game. Was disappointed that the "bonus games" are not included when you buy it. It could be such a GREAT game, but it also won't save your levels, so unless you play the whole game through at one time, you keep starting over and it gets boring. Rated 2 out of 5 by LobsterMann from Great for children To be honest, this card Mahjong game sounds like it could have been interesting, but it isn't. It is very easy and applicable to kids. Adults should pass it by. Rated 2 out of 5 by tunesjerom from boring I think it's absolutely boring. There is nothing that moves me more than 10 minutes to play. The graphics are not bad but the game is repeated without variation too often. Rated 2 out of 5 by alsteele28 from Too American! Speaking as a non 'yank' this game was too saccharine American for me. The visuals, music and 'sentiments' were all too twee American, that put me of purchasing the game. I liked the fact that it was a different variant on the 'golf' version of solitiare, but all this was just matching numbers until you found the two 'gold cards'. So whilst fun and slightly tactical this could not overcome the shortfalls for me. Sorry and I don't mean to upset any Americans (or indeed pro-Americans) but to someone residing on the other side of the pond, this game was not for me. Wish I could give it 2.5 stars as it was slightly under 'OK' but because of the slight variation on the solitaire theme it was slightly higher than 'dislike'. Rated 2 out of 5 by lydiausvi from Boring The scenery is nice, but you play the same solitaire game throughout. I was bored before I finished the second waterfall scene. Rated 1 out of 5 by belle45 from Belle Absolutely BORING. an awful game.